Northrop Frye on Religion. Ed. Alvin A. Lee and Jean O’Grady. Toronto: University of Toronto Press, 2000. xxxvii + 432 pp. Northrop Frye’s Late Notebooks, 1982–1990: Architecture of the Spiritual World. Ed. Robert D. Denham. Toronto: University of Toronto Press, 2000. xlix + 949. Northrop Frye’s Writings on Education. Ed. Goldwin French and Jean O’Grady. Toronto: University of Toronto Press, 2000. liii + 684 pp. The Diaries of Northrop Frye, 1942–1955. Ed. Robert D. Denham. Toronto: University of Toronto Press, 2001. liii + 821 pp. The “Third Book” Notebooks of Northrop Frye, 1964–1972: The Critical Comedy. Ed. Michael Dolzani. Toronto: University of Toronto Press, 2002. lxiv + 480 pp. 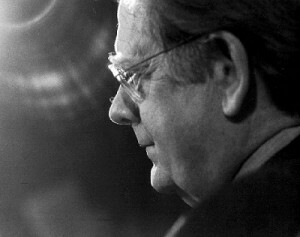 Northrop Frye on Literature and Society, 1936–1989. Ed. Robert D. Denham. Toronto: University of Toronto Press, 2002. xxviii + 420 pp. Northrop Frye on Modern Culture. Ed. Jan Gorak. Toronto: University of Toronto Press, 2003. xlix + 409 pp. Northrop Frye on Canada. Ed. Jean O’Grady and David Staines. Toronto: University of Toronto Press, 2003. xlviii + 741 pp. Northrop Frye’s Notebooks and Lectures on the Bible and Other Religious Texts. Ed. Robert D. Denham. Toronto: University of Toronto Press, 2003. lv + 740 pp. Fearful Symmetry: A Study of William Blake. Ed. Nicholas Halmi. Intro. Ian Singer. Toronto: University of Toronto Press, 2004. l + 516 pp. Northrop Frye’s Notebooks on Romance. Ed. Michael Dolzani. Toronto: University of Toronto Press, 2004. lvii + 503 pp. Northrop Frye on Milton and Blake. Ed. Angela Esterhammer. Toronto: University of Toronto Press, 2005. xxv + 490 pp. Northrop Frye’s Writings on the Eighteenth and Nineteenth Centuries. Ed. Imre Salusinszky. Toronto: University of Toronto Press, 2005. xli + 415 pp. “The Secular Scripture” and Other Writings on Critical Theory . Ed. Joseph Adamson and Jean Wilson. Toronto: University of Toronto Press, 2006. xliii + 588 pp. The Great Code: The Bible and Literature. Ed. Alvin A. Lee. Toronto: University of Toronto Press, 2006. xlix + 380 pp. Northrop Frye’s Notebooks on Renaissance Literature. Ed. Michael Dolzani. Toronto: University of Toronto Press, 2006. lx + 494 pp. “The Educated Imagination” and Other Writings on Critical Theory, 1933–1963. Ed. Germaine Warkentin. Toronto: University of Toronto Press, 2006. xlix + 553 pp. Anatomy of Criticism: Four Essays. Ed. Robert D. Denham. Toronto: University of Toronto Press, 2006. lxxii + 450 pp. Northrop Frye’s Notebooks for “Anatomy of Criticism.” Ed. Robert D. Denham. Toronto: University of Toronto Press, 2007. xxi + 450 pp. Notebooks 7, 37, and 38, Notes for Anatomy of Criticism, Notebooks 35, 36, 18, 30d, 30e, 30f, 30g, 30h, 30i, 30j, 30k, 30l, 30o‑a, and 30q. Interviews with Northrop Frye. Ed. Jean O’Grady. Toronto: University of Toronto Press, 2008. xlvi + 1220 pp. One‑hundred‑eleven interviews with Frye, conducted over the course of forty‑two years. Northrop Frye’s Fiction and Miscellaneous Writings. Ed. Robert D. Denham and Michael Dolzani. Toronto: University of Toronto Press, 2007. lviii + 519 pp. Words with Power: Being a Second Study of “The Bible and Literature. Ed. Michael Dolzani. Toronto: University of Toronto Press, 2008. lvi + 343 pp. “The Critical Path” and Other Writings on Critical Theory, 1963–1975. Ed. Eva Kushner and Jean O’Grady. Toronto: University of Toronto Press, 2009. xliv + 492 pp. Northrop Frye’s Writings on Shakespeare and the Renaissance. Ed. Garry Sherbert and Troni Grande. Toronto: University of Toronto Press, 2010. lxi + 794 pp. Northrop Frye’s Writings on Twentieth-Century Literature. Ed. Glen Robert Gill. Toronto: University of Toronto Press, 2010. lviii + 445 pp. “Blake’s Jerusalem” ● CW 10: 196–204. “Jewish Background of the New Testament, The” ● CW 3: 139–54. “Literature and Language” ● CW 10: 190–5. “Literature as Context: Milton’s Lycidas” ● CW 16: 24–34.